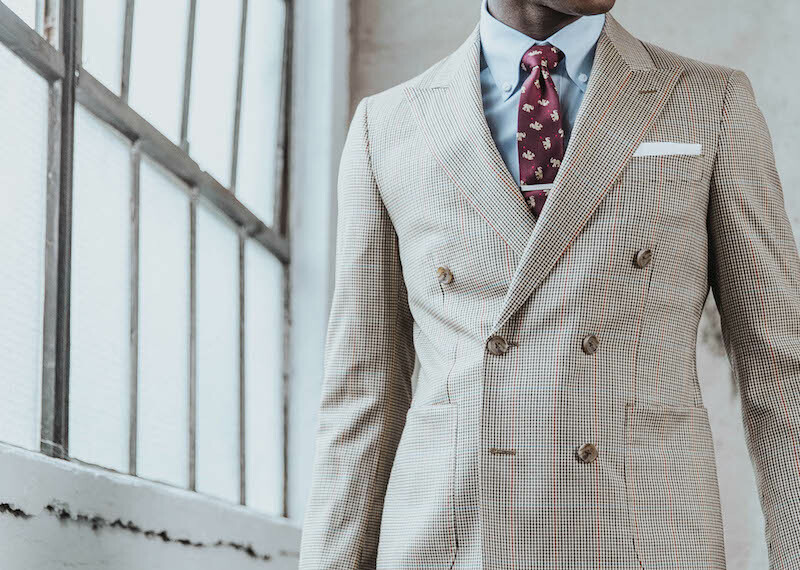 The tailored suit has been around for at least two centuries, and in that time, everyone’s come up with their own set of rules for how to wear this essential piece properly. 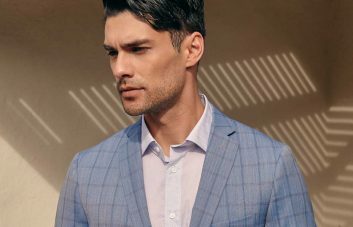 At INDOCHINO, we honor the tradition of meticulous tailoring and will always champion the value of a perfectly fitted garment. However, we also believe that traditions evolve over time and that every man should have a little fun with their daily suit armor. We’ve compiled 10 tips for the modern gentleman on how to keep your suit always looking hip, bold and sophisticated. Take a slight departure from your classic navy ensemble. Mid-tone blue suits are a versatile option if you’re planning on wearing your suit to the office and social events. From left to right: Tae is wearing the Denim Blue Plaid Suit and Kiroh is in our Ultramarine Twill Suit. A tie in a vibrant print pairs well with a micro-patterned shirt in a complementary color scheme. For Casual Friday at the office, ditch the shirt and tie look and wear your suit with a button-down collar instead. 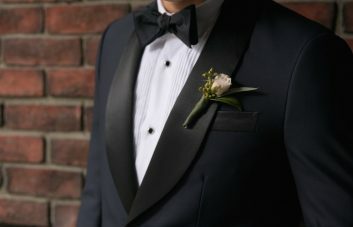 A midnight blue tuxedo echoes the elegance of classic black but differentiates you from the crowd. Pick up this Premium Midnight Blue dream for your next formal event. 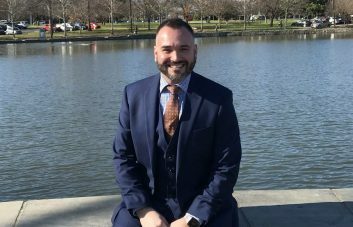 If you’re looking for a suit that travels well for quick business trips, choose a fabric like Sharkskin that is wrinkle-resistant and breathable. Suit jacket sleeves should end right above your wrists, exposing around half an inch of your shirt cuffs. 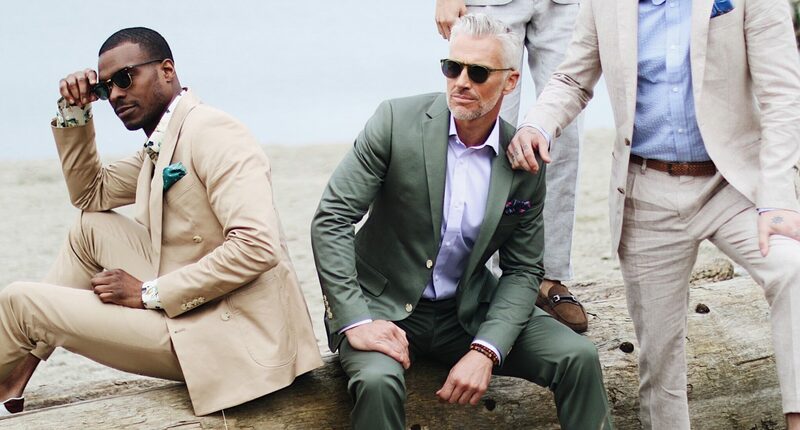 View our wide range of khaki, green and light gray suits in lightweight, comfortable fabrics. 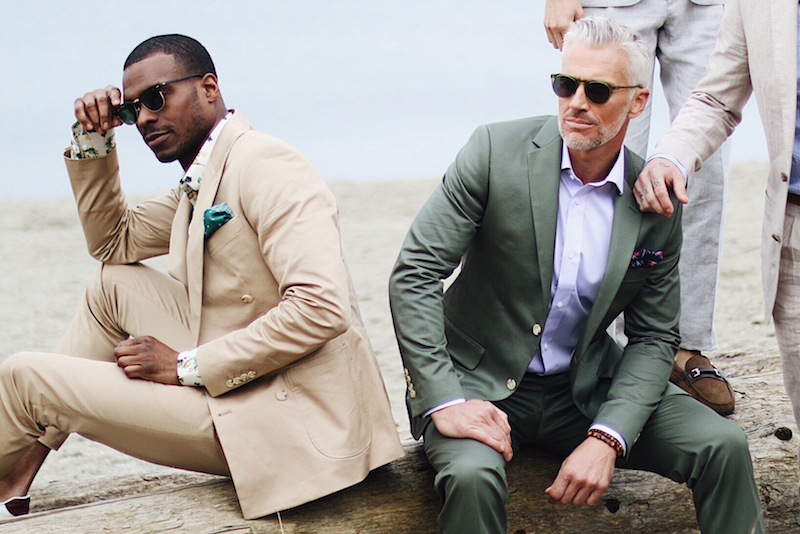 A tan suit in cotton or linen will have you covered for formal events in the summer, especially weddings. Black bow ties add the right amount of sophistication for formal events. Losing the socks when you pair your suit with a pair of kicks for Casual Friday is a-ok in our books. In warmer weather and more relaxed occasions, it’s completely acceptable (if not advisable) to go sockless with your suit. The double-breasted blazer is a powerful look. Add peak lapels to your jacket for extra bravado. All of our suits can be customized to double-breasted. 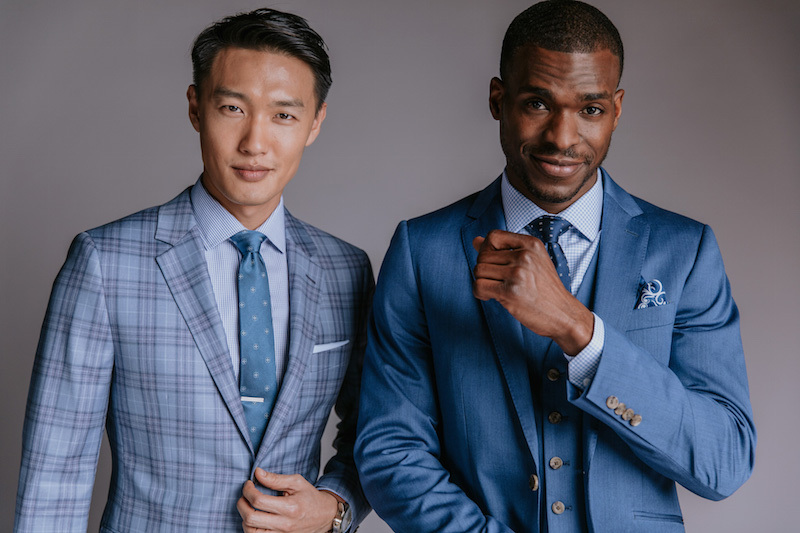 View our full collection of Made to Measure suits, shirts and accessories and book a suit appointment at indochino.com. Make each piece your own through endless customization options including monograms, linings, contrast stitching, lapel types and much more.